Last night the Vashon Island Community Meal Program, sponsored by Vashon Social Services Network held the Vashon 'Empty Bowls' fundraiser. Vashon Island artist Liz Lewis coordinated the making and painting of each handcrafted bowl for the event. 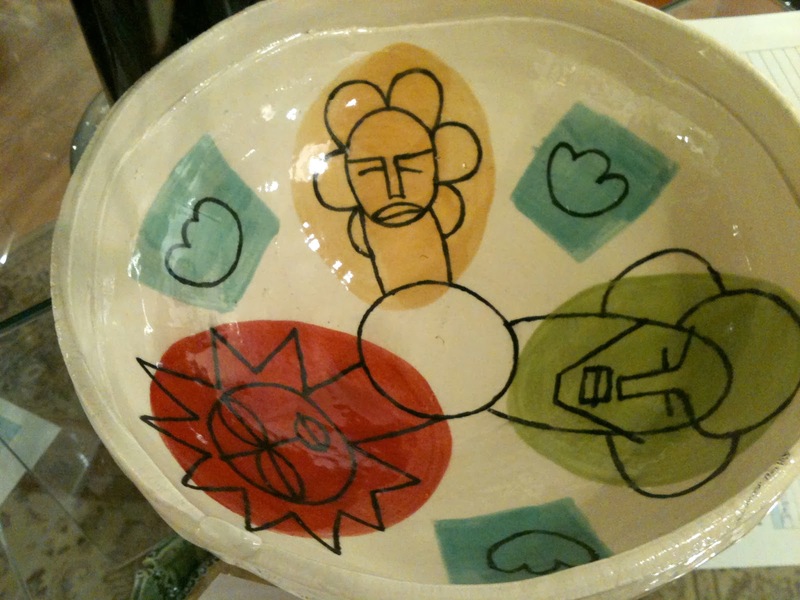 In exchange for a cash donation guests kept a bowl as a reminder of all the bowls empty of food around the world. 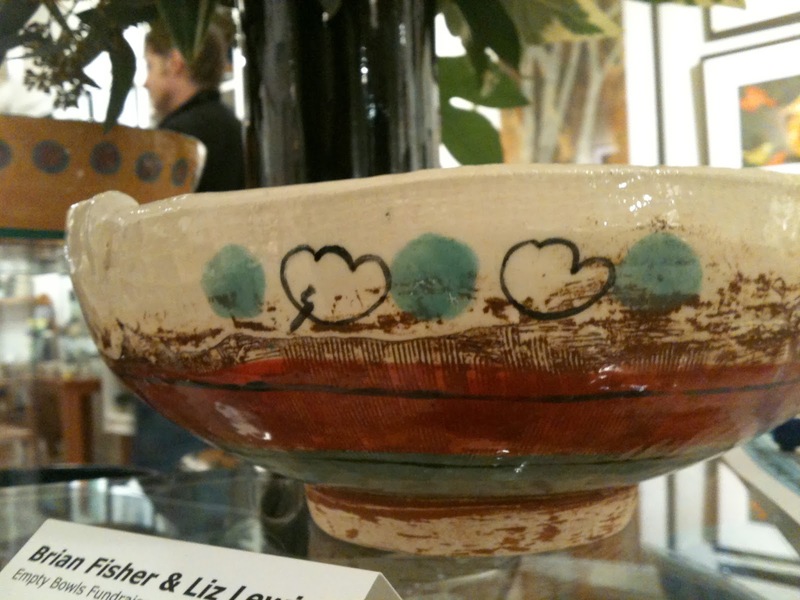 Above and below is one of the many bowls Liz Lewis made and that I had so much fun painting. As a creative experience I felt inspired by the project and the challenge of painting on a three dimensional surface!